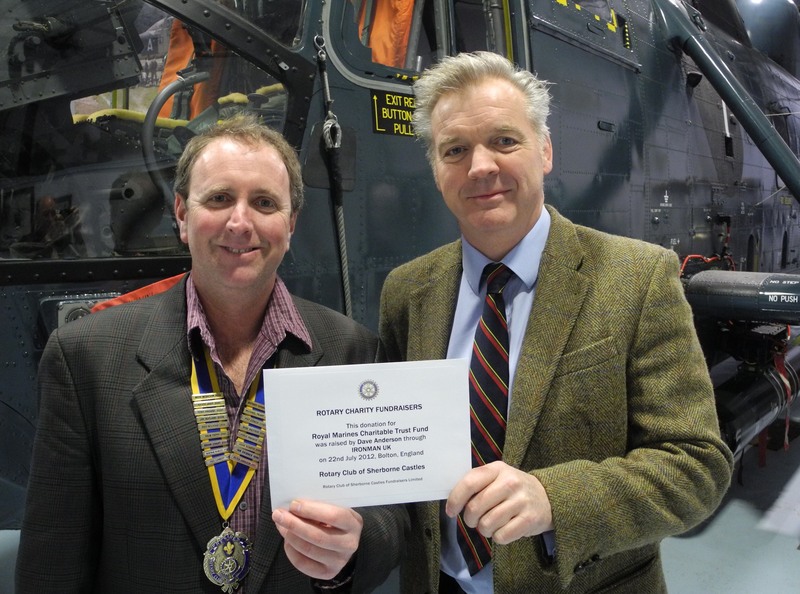 Nick Whigham the president of the Rotary Club of Sherborne Castles representing Rotary Charity Fundraisers presented a cheque for £9,100 to Lt Col Richard Kenworthy representing the Royal Marines Charitable Trust Fund at the Fleet Air Arm Museum, Yeovilton on Wednesday 13th February 2013. 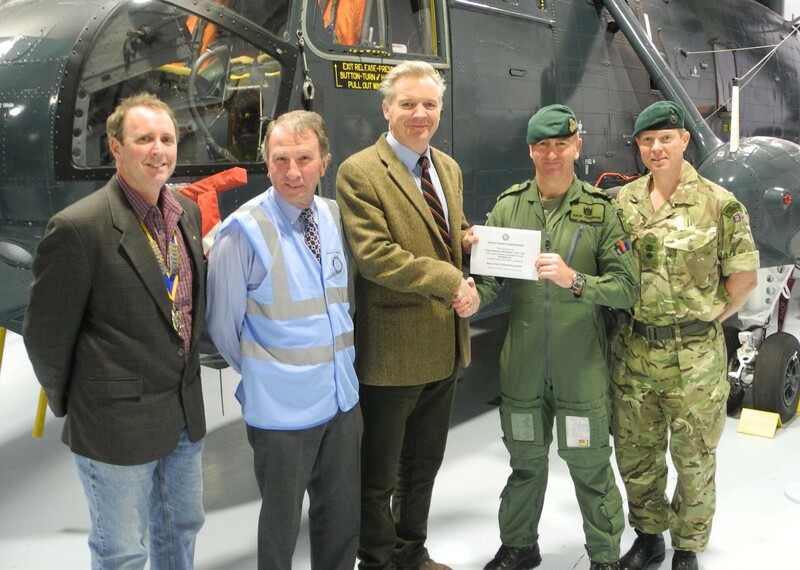 The cheque represents 50% of the total funds raised through Ironman UK, Bolton, England in July 2012 by Lt Dave Anderson, a Royal Navy observer on air sea rescue Sea King helicopters and former Royal Marine . The first photograph shows president Nick Whigham of RCSC and Lt Col Richard Kenworthy of RMCTF. The second photograph shows Lt Col Richard Kenworthy thanking Lt Dave Anderson for his efforts in raising the funds. With them are Phil Hersee trustee of RCSCF with special responsibility for IM UK and Lt Col Steve Hussey of the Royal Marines.